Antinitus AB has signed an agreement with Hefny Pharma Group for exclusive distribution of the tinnitus patch Antinitus in Egypt. The launch is scheduled for the autumn of 2017, which means that Egyptians with tinnitus will soon be able to obtain the Swedish tinnitus patch in pharmacies and hearing clinics, as well as from ear, nose and throat physicians and audiologists. The first order consists of 10,000 packages. -Tinnitus is a growing problem in Egypt and the Antinitus patch fulfils a great need. We predict a bright future for Antinitus and hope to help many people achieve an improved quality of life with the Antinitus patch, says Dr. Yasser Hefny, Chairman of the Board at and founder of Hefny Pharma Group. For those who suffer from tinnitus, the disorder often has a negative impact on their quality of life. Antinitus is a Swedish innovation and the first patch for the treatment of tinnitus in the world. The medical device is based on the patented Akloma technology. A global launch of the Antinitus treatment is currently taking place in Europe, Canada, New Zealand, Australia and Egypt. 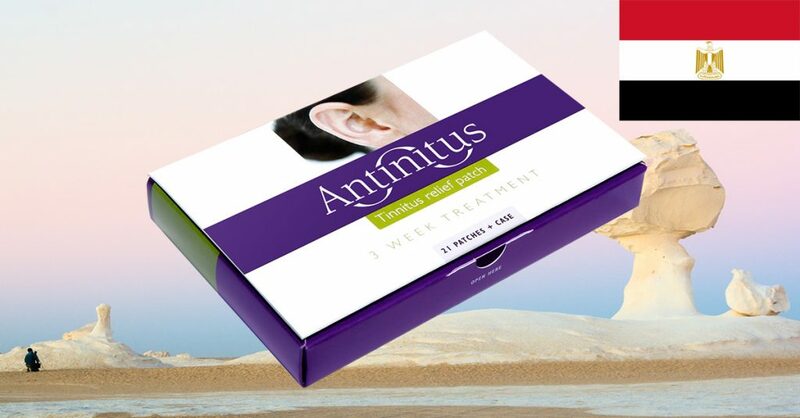 Antinitus AB has worked on the research, development and commercialisation of Antinitus for more than a decade in order to find a cure for tinnitus.